"The whole staff was awesome I am so glad I visited Greenway." "The dentist was knowledgeable and worked well with my daughter." "This is an excellent dentist and his staff does a great job as well." "Dr. Alex is very friendly, gentle, and does excellent work." "All the office members are friendly and helpful!!" "Needless to say, excellent service. Always improving." "Loved it! Would recommend in a heartbeat!" "Great experience. The staff was very friendly." "The staff is very nice and helpful. The facility is clean." Patients throughout the greater Washington, DC area can get all of their dental care needs met at Greenway Dental Group. This Greenbelt, Maryland practice treats pediatric, adult, and geriatric dental patients since 1985. The office is conveniently located near Goddard, Wildercroft, and Berwyn Heights. 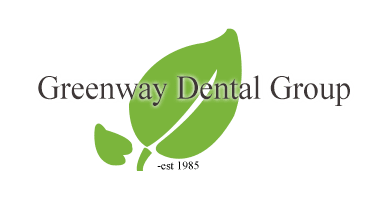 Under the direction of leading dental experts Alex Shklyar, DDS and Madueke Ekoh, DDS, the team at Greenway Dental Group specializes in all types of general and preventive dental care. They even offer cosmetic and orthodontic treatments, including dental veneers and Invisalign®. The caring dental team believes that patients deserve individualized treatments. They spend time getting to know each patient and their health history, rather than just treating a specific concern. Since each patient can expect personalized attention, established patients of the practice commend the team’s personalized care. Because the practitioners have extensive training caring for all age groups, all family members can get the dental care and treatment they need under one roof. Whether a patient has an urgent dental issue, such as a tooth fracture, or simply needs a routine cleaning and exam, the team offers flexible scheduling for new and established patients. Great News - "Kids Dental Center" is OPEN! Greenway Dental Group is proud to announce a Kids Dental Center is here in this professional building in Suite T4. East Greenway Professional Building is home to many Medical and Dental offices. However a specialized Pediatric Dentist Office was not one of them. Greenway Dental Group in Suite 102 has always been a multispecialty dental practice. We provide services to children, teenagers, adults, and elderly patients. Kid’s Dental Center will be designed and geared totally for KIDS! We will make it more comfortable for your child and more convenient for you as parent! Greenway Dental Group is one of the few dental practices in Greenbelt MD area that provide "Same day Crowns"! In this center of dentistry, you can have a crown made fabricated and fitted in one visit. No more impression material, no temporary crowns, and no second visits. Greenway Dental Group accepts the insurance plans listed here. If you do not see your plan listed please reach out to the office to confirm! "The doctor is very experienced and lets you know when you need work to be done. Thank you doctor and your staff for excellent service." "This is the best dentist that I have ever been to. He is very gentle. The staff is amazing they are some of the nicest people." "I love this place! The dentist is very nice and my kids always walk out with good advice and extra white teeth!" "The dentist, assistants, and receptionists were very patient with us and they did not rush the cleaning or X-ray process. Thanks and see you soon!" "I was truly impressed with the high level of customer service and patience they displayed with the kids. Keep up the good work team." "I've been a patient for many years. This is a great dental practice. Prompt, professional, and almost pain free." "Friendly, professional, knowledgeable staff. I have been coming here for years and they have always had great service." "I am so glad I found this place for my son. They were gentle and patient with him and made sure I knew what steps to take when taking care of his teeth." "The dentist went out of his way to reassure me and keep me informed. If you've got to get a crown, this is the way to do it." "I always have a positive experience at Greenway Dental Group. The front desk staff is very helpful...and the dentist is friendly and honest!"